When it comes to the speed of sharing patient records, is there a silver bullet? And where does CommonWell fit in? On Oct. 17, 2015, KLAS reported that providers and vendors unitedly picked FHIR as the industry initiative/standard with the most extensive future value, but agreed no initiative was a silver bullet to interoperability. When rating CommonWell’s future value, the more than 240 provider organizations and 13 industry-leading EMR vendors had very different perspectives. I am excited to provide clarity from the study findings and from ongoing research and industry executive statements right up to today. What did the study find about CommonWell? How do industry and vendor statements map to what we found? What have we learned since the study? The vendors voted with their party: CommonWell members expect extensive future value, while non-members do not (one voted for moderate value and the rest for minimal). Providers, however, saw things differently. Twenty-seven percent of those whose vendor is a CommonWell member said it will have extensive future value, while 2 percent of non-member providers voted that way. Other than the positivity from athena and Cerner clients, CommonWell partner clients were more muted and saw it as a potential benefit representing larger participants like Allscripts, McKesson, Greenway, and Meditech. Our goal with the interoperability study was to include as many provider organizations that are live on CommonWell as possible. To achieve that, we invited each vendor to give us lists of live clients last June. Jitin Asnaani, executive director of CommonWell, also pushed the vendors to provide us with lists. athenahealth gave us a list of 14 clients and Cerner provided a list of 2. It was great to have live athena and Cerner CommonWell clients confirm the exchange of patient records — none of the other vendors provided live CommonWell clients for us to interview. athena clients confirmed that the universal connectivity in the SaaS environment is easy to turn on and works. Cerner clients generally have to specifically opt in, and that natural barrier creates slower adoption. Forecasts that 500 Cerner clients would be live by year-end 2015 have not materialized based on recent Cerner client interviews. We will watch the rollout this year to see how the forecasts play out (e.g., McKesson projects to have over 300 live clients by mid-year). It seems natural that growth will be slow at first until it reaches a tipping point, but when announcements of hundreds of CommonWell clients don’t clarify how many are live versus how many have contracted, it hurts confidence and trust. What does this all translate into? Few see CommonWell as a silver bullet, yet many envision it being a mainstream player. CommonWell discussions clarify that it will have to connect with many other networks, making it more difficult to define the perfect scenario. When players like athena participate in almost all collaborations and initiatives, it gives a sense of betting on any approach that brings value. The absence of Epic is described by Epic supporters as a smart, practical approach focused on connecting networks to networks, and some view the initiation of CommonWell as a counter-Epic activity. 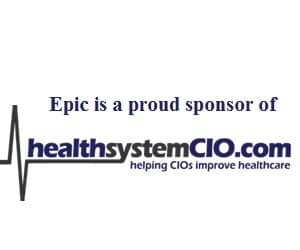 Providers who are excited about CommonWell say Epic is arrogant, operating in their own world, and ignoring great solutions. No doubt, CommonWell is here to stay, regardless of whether Epic or others join in.